If you still like the classic games, and especially games 8 bit retro style, you will like to try the new platform game starring himself Stephen "Steve" Wozniak, cofounder of Apple with Steve Jobs. You play as either Woz or as Danny Trejo, and your mission is to rescue the woman from Woz, who has been kidnapped. 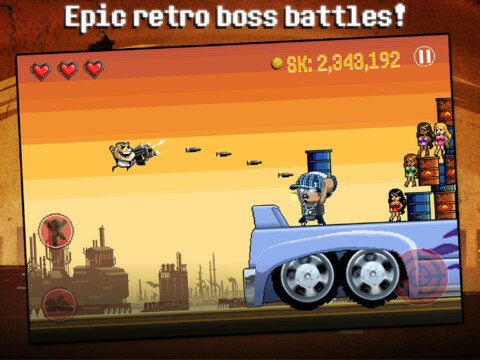 Will cross the city in different platforms using numerous weapons, collecting coins and earning bonuses. Both the plot and the protagonist's voice have been devised by himself, so this is a truly personalized game. As we say, goes mostly to fans of retro games and platforms based simple and easy movement strategies. And of course, those followers of Steve Wozniak. Not the best game in the world, but appears Wozniak!. It's a universal app, optimized for iPhone 5 at a price of 0.89 €. Try it and those who are interested comentaís us what you think.